Within the datacentre, technological advances will make it easier to manage fluctuating temperatures and humidity, using only the minimum required energy output to keep hardware cool. 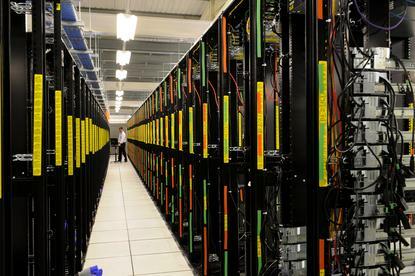 Some datacentre providers will discover profitability in conservation by selling unused energy back to the grid. When faced with such a process of being dependent on market forces, these providers could be even more motivated to invest in new low-energy solutions. Automated procedures, compliance changes and edge networks will turn datacentre infrastructure management on its ear. Datacentre infrastructure management (DCIM) will focus on consolidating servers and server locations while expanding the ability to perform computational and transactional tasks on the edge of computing. To achieve the latter, companies will require more automation and application containers. They will also need to consider the security implications and overall topology to compensate for running applications in a virtualised container. DCIM will use data analytics to proactively set automatic triggers for performing tasks such as spinning capacity up or down or executing a certain type of command to free up memory or disk space. Automation could also let customers using colocation datacentres use just-in-time consumption to automatically dial up and down their colocation power. Automated security will negotiate the level of encryption needed for a particular app. The increased amount of automation overall will help free up operational resources to focus on value-add applications and problems. New alliances will form to meet customer demands for network capacity, scalability and storage. Network capacity is already a major IT issue and will become an even bigger one in the years ahead. In addition, with the IoT and the explosion of interconnected applications, web services and cloud services, people will want to be close to resources offering more reliable, secure, and fast access to data. Companies will want to leverage connectivity between different clouds and infrastructures to weave apps together from components that live in different environments. Demands for network capacity and a proximity to valuable resources will create a huge opportunity for service providers to design a strategy driven by interconnections with other solution providers. Besides offering lower latency and higher throughput connections, such alliances will free businesses to use multiple operators for their applications. This distributed computing environment will be very resilient and will offer endless scalability because of the ability to link services. To form these interconnected frameworks, solution providers will need to work together to simplify interoperability. New competition will arise, with each solution provider trying to offer the best package of services within an interconnected framework.